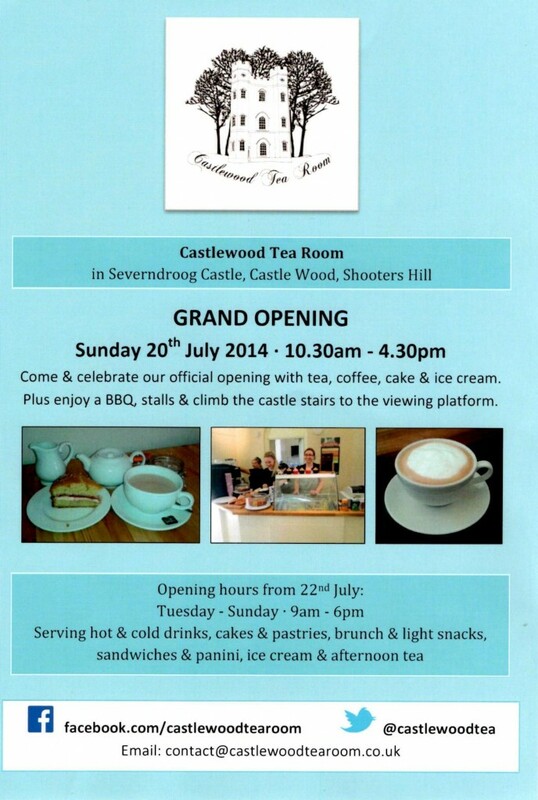 Next Sunday, 20th July, sees the culmination of many years of hard work by the Severndroog Castle Building Preservation Trust: the official opening of the restored castle and its new cafe, Castlewood Tea Room. 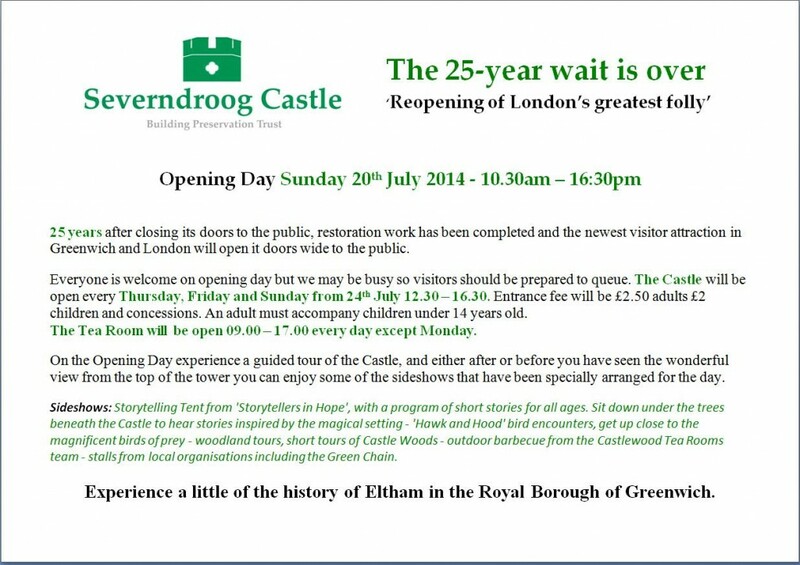 Apart from an Open House day a few years ago it will be the first chance for 25 years for members of the public to see the panoramic view from the top of the castle towards the centre of London. Stalls from local organisations including the Green Chain. Castlewood Tea Room has had a “soft opening” and has been open to visitors for the last few weekends, selling tea, coffee, homemade cake, pastries, sandwiches and Marshfield Farm ice cream, but will also be officially opened next Sunday. After the official opening the Tea Room will be open from 9am to 5 pm every day except Monday and the Castle will be open every Thursday, Friday and Sunday between 12.30 and 4.30. Entrance to the castle will cost £2.50 for adults and £2 for children and concessions. Children under 14 years old must be accompanied by an adult. Visitors will be looked after by a team of volunteers, and the trust is looking for more people to help out. 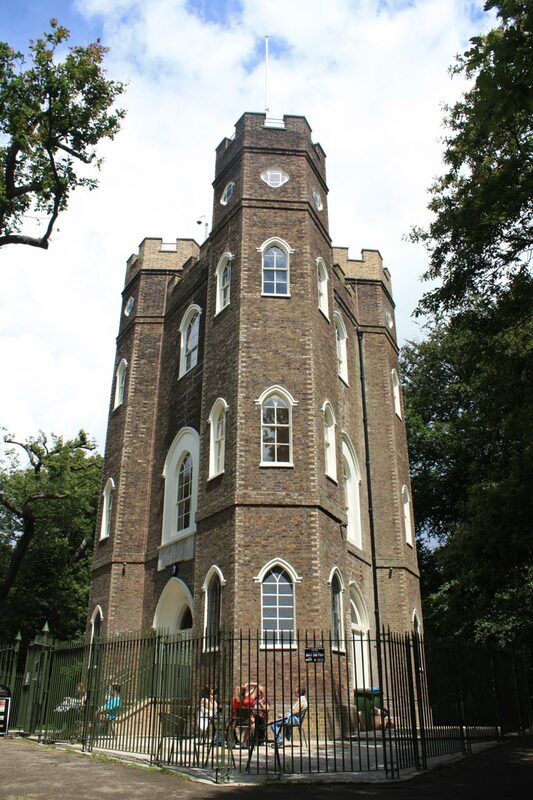 Current opportunities are listed on their web site, and you can also get details by e-mailing them on volunteer@severndroogcastle.org.uk . I’ll end with a link to the teaser video that Dr. Barry Gray of the trust sent to me a few months ago.